Selfies have become an intrinsic part of our phone’s gallery, after all, self-love is the greatest love, right? Identifying the obsession err narcissism in us, Google has come up with a new feature that would turn our selfies into stickers. The feature is currently rolling out on Google Allo for Android. This move by Google could make Bitmoji run for survival. Google’s sticker generating software is notched ahead of Bitmoji, and it makes stickers a lot more bearable than Bitmoji. The unnamed software by Google studies your selfie and takes all the facial features into account before turning it into a sticker. The tech giant collaborated with leading artists to come up with a selection of illustrations for sticker packs. There are around 563 quadrillion different combinations of sticker images that are produced from illustrations drawn by the artists. 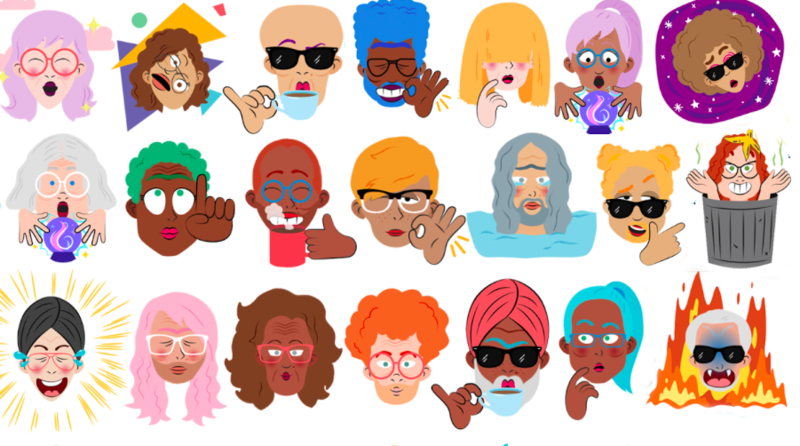 This feature on Allo also gives you freedom to customize by choosing a different skin tone, hairstyle, nose shape, and more. Google says that the new feature uses a combination of a computer vision algorithm and illustrations by artists to generate sticker packs. It all started with experimentation with some neural networks, which were programmed to leave unwanted elements when scanning an image. Taking a cue from that, the development team at Google came up with an algorithm that was based on what qualitative features do humans observe in a picture, such as the color of eyes. Based on the examples, the neural networks were designed to focus on important features in a human selfie. To create an illustration of you that captures the qualities that would make it recognizable to your friends, we worked alongside an artistic team to create illustrations that represented a wide variety of features. Artists initially designed a set of hairstyles, for example, that they thought would be representative, and with the help of human raters, we used these hairstyles to train the network to match the right illustration to the right selfie. Google also mentions that this is the first version of the feature and it would be adding more illustrations by artists to make it better. It also hints that in the future, the neural networks would be able to turn your selfie into a dog! Well, that would be dope. Related Google Allo For Web is Finally Here For Android Users, But Does It Matter? The feature is now rolling out to the Allo app for Android and should reach all the devices soon. For the iOS users, we hope Google would extend the feature for Allo’s iOS version soon. We wonder if such features would lure more users to Allo. What’s your take on that? Share your thoughts in the comments section below.